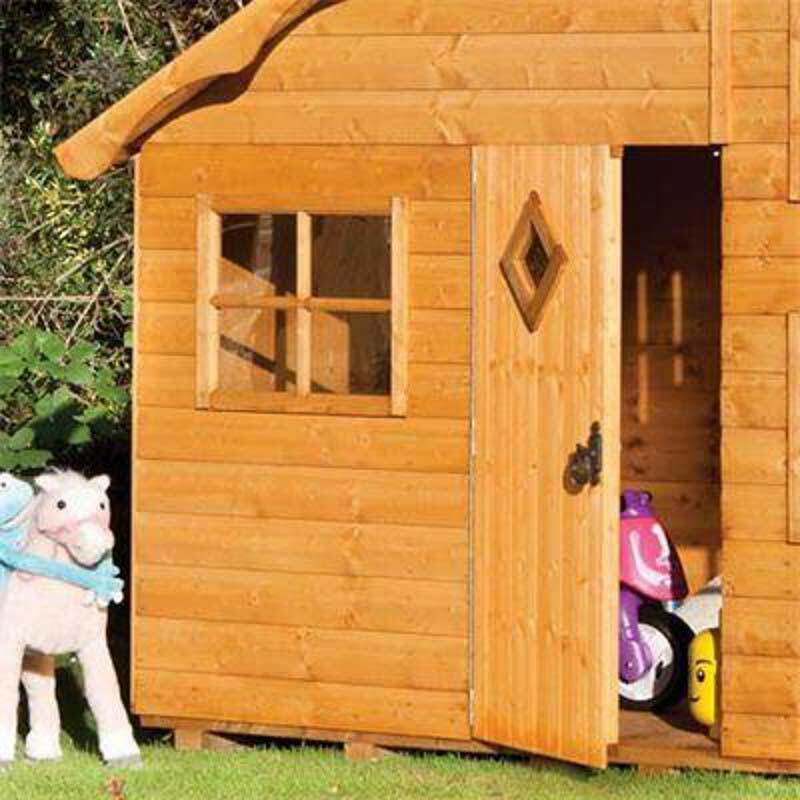 Give your children their own beautiful place where they can play and store their toys with the Rowlinson FSC Playaway Swiss Cottage Child’s Play House. This cool kid’s playhouse features a spacious interior with an additional landing area inside making it perfect for your children to let their imaginations run wild! What child doesn’t love their own play place? 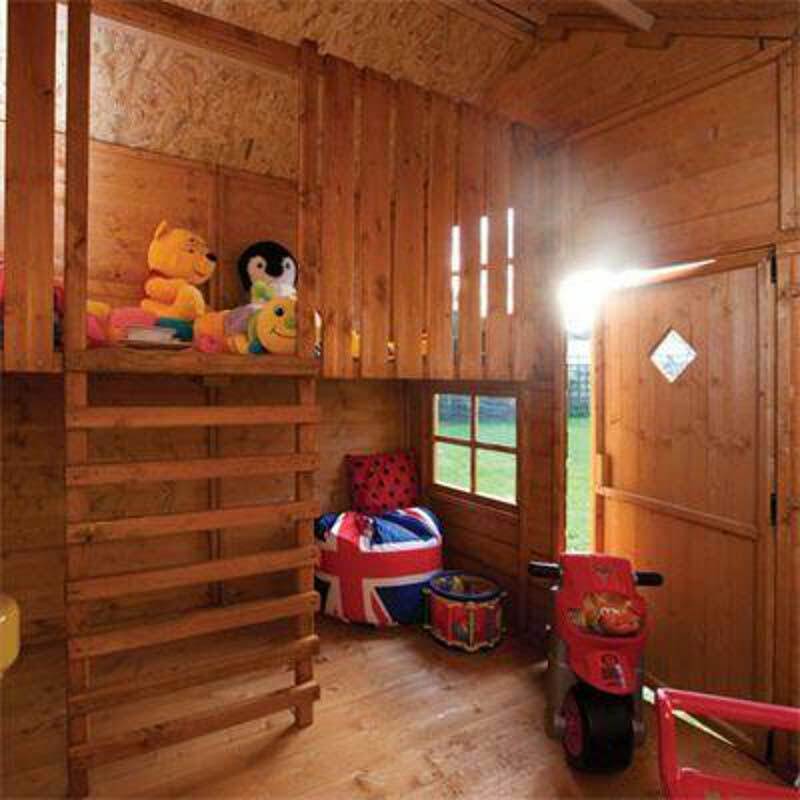 This stunning Swiss Cottage playhouse gives your children an amazingly fun space where they can store their toys and games, and is the perfect place for them to play and entertain themselves. Quaint looking from the outside, this children’s playhouse will keep your children entertained throughout their childhood. The inside space features an additional landing complete with a ladder so that your children can host tea parties, sleepovers or a thousand other fun and exciting adventures. Featuring mineral roofing felt, this playhouse is watertight. 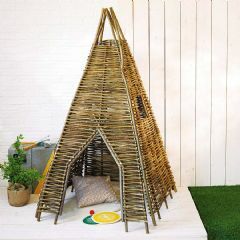 This allows your children to play in it throughout most of the year. 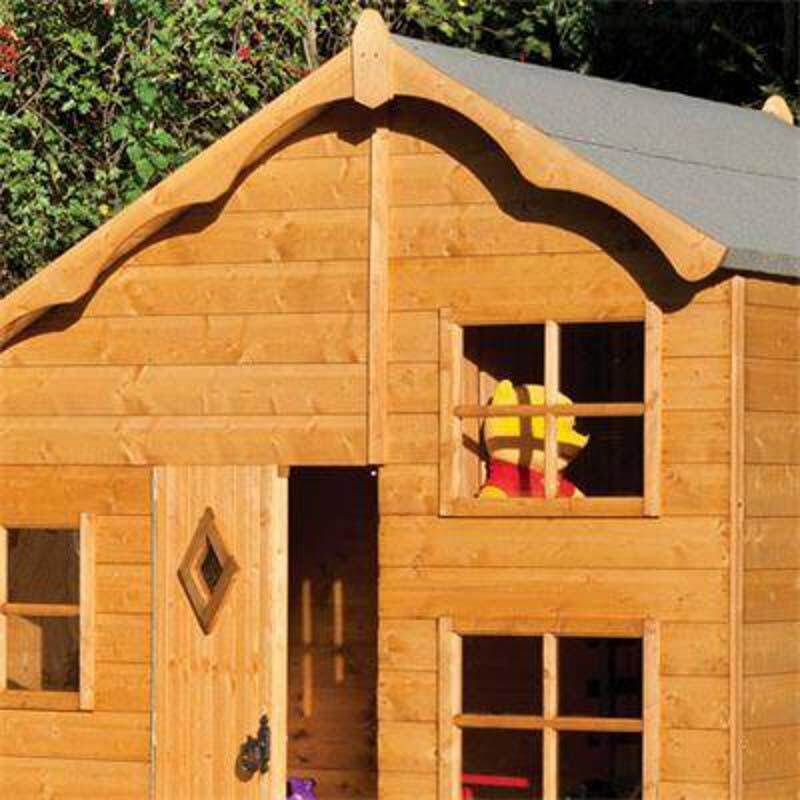 This playhouse is completely compliant with European standard EN71 for child safety and the windows are made out of high strength plastic instead of glass for added safety. The wood used in the construction of this product has been sourced from forests that have been declared to be sustainable by the Forest Stewardship Council (FSC). This certification helps to promote the responsible use of our natural resources and is the hallmark of responsible forest management. Please Note: This product will require self-assembly and we advise that it is assembled by at least two people. This product features treated wood, but may require seasonal maintenance for maximum lifespan. Furniture not included. 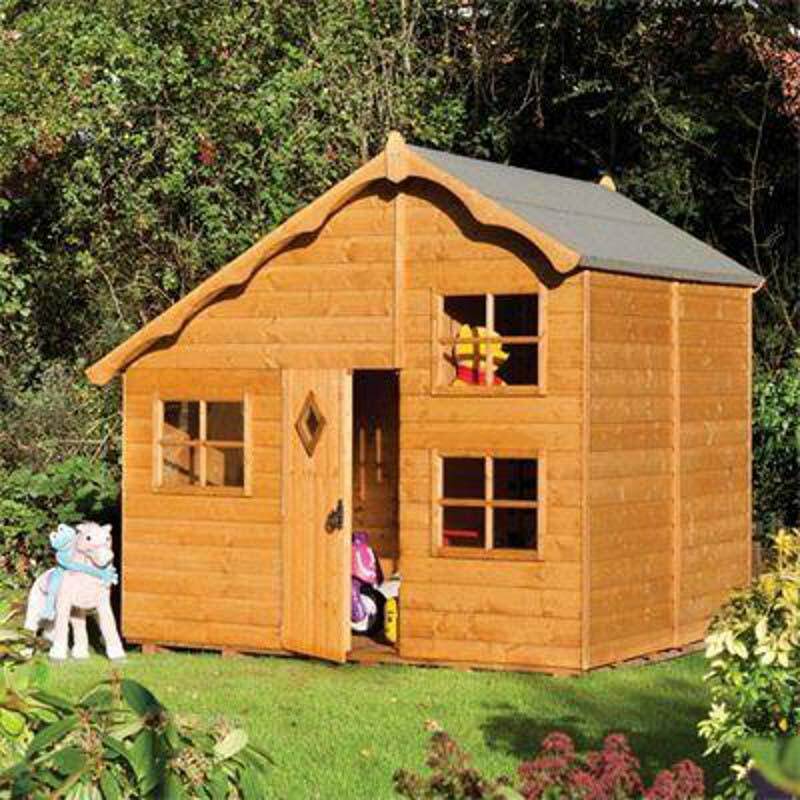 Make your children’s dreams come true with their very own Rowlinson FSC Playaway Swiss Cottage Child’s Play House. Really pleased with the quality and prompt delivery . Our grandchildren love it. Sorry but we do not have any promotions linked to this product. GET £5 OFF YOUR ORDER IF YOU BUY NOW AND SPEND £70 OR MORE! Enter your email address and we'll send you a discount code to use immediately. Please check your inbox for your discount code. Remember, your discount code expires in 24 hours! We are sorry but you are not eligible for the discount code. Remember, our customers enjoy great benefits including free shipping on selected items and more! The discount is valid for new customers only. A discount code will be sent via email and will expire in 24 hours.